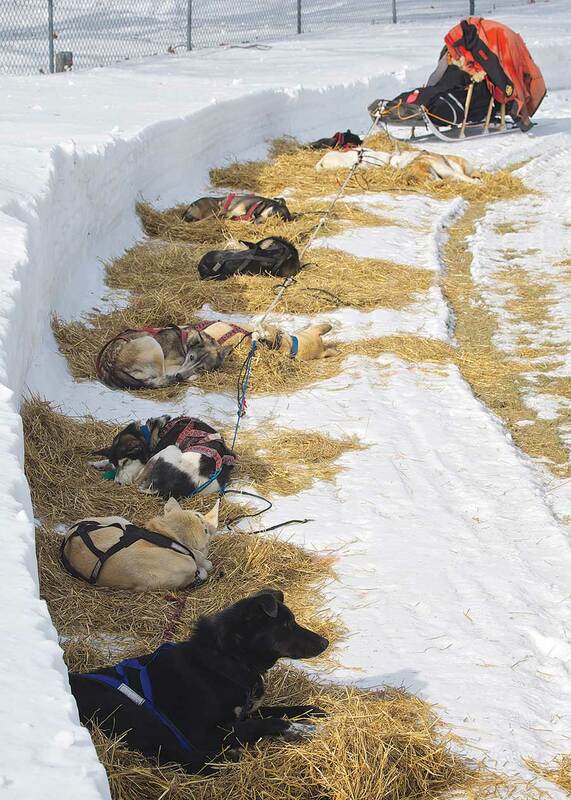 The image of a bundled and booted individual on the back of a sled pulled by a dozen magnificent dogs seems like a scene out of the movies or a bygone era. 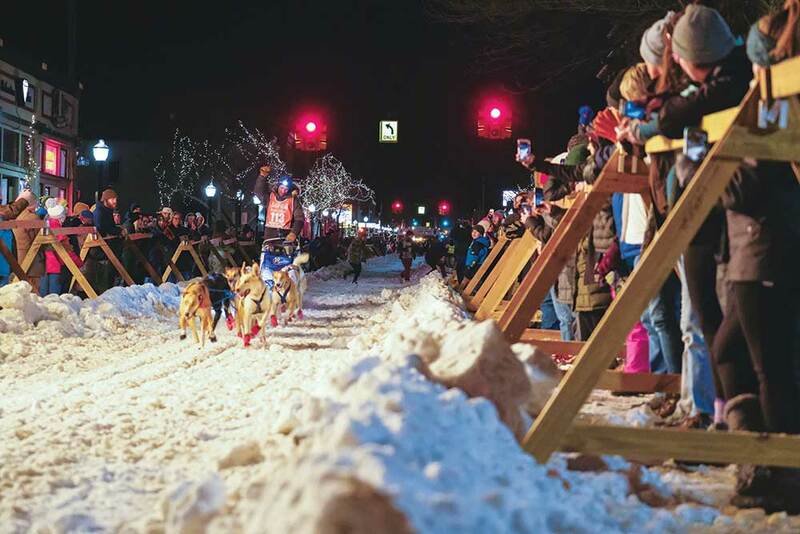 However, on a snowy Friday evening in February, spectators can make their way to downtown Marquette, Mich., and take a step back in time and into all the wonder and romance that is sled dog racing. Remy LeDuc of New Brunswick, Canada entering Grand Marais during the UP200 1/2-way point. 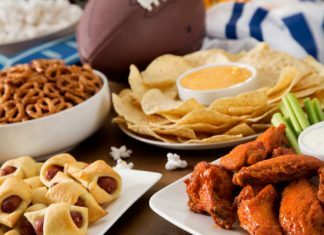 In the Upper Peninsula, finding ways to more than survive the cold and snowy months of the year, but actually to thrive and enjoy oneself, has always been an important part of the lifestyle. Skiing, sledding, ice fishing, fat tire biking and even luging have gained popularity, but the majesty of sled dog racing takes winter to a new and exciting level. It began back in 1988 when Marquette residents Jeffrey Mann, Scott and Elise Bunce, and Tom and Sarah Lindstrom struck up a friendship only to discover they each had a common interest or experience in sled dog racing. 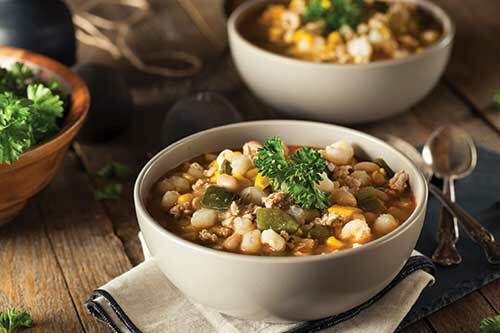 Upper Peninsula resident, Jessica Racine, offers up this delicious chili recipe, perfect for warming up after a day of dog sledding or cheering on the teams. Each spoonful is sure to fuel you for all your winter adventures. What started as a friendly conversation turned to serious planning and, in 1990, to the cheers of 10,000 spectators, the mushers of the first UP200 Sled Dog Champion race bounded down Washington Street in Marquette and into the wild. For years to come, the UP200 and other local sled dog races have been successful reminders of the power of one person and their team of dogs. For the rigorous UP200, racers and their teams kick off their three-day 230-mile journey in Marquette to their first stop in Wetmore. This is a distance of approximately 64 miles on the upbound leg, then they go on to Grand Marais, where the teams turn around and continue their journey back to Marquette. Mushers encounter inclines, creek crossings, and isolation while tackling trail conditions ranging from fast hardpack to deep snow. A total rest time of 16 hours is required to ensure mushers and teams receive ample downtime, food and water breaks. While the UP200 is certainly the Upper Peninsula’s longest race, sled dog lovers have several options to see these amazing teams in action. Visit UP200.org for more information. 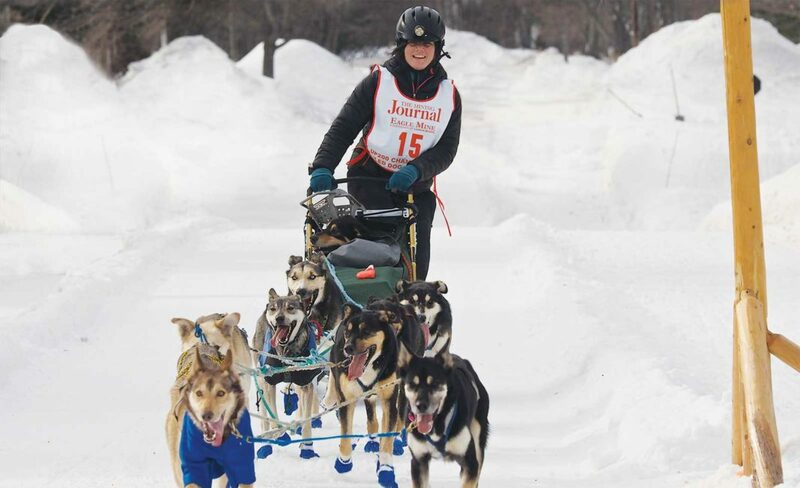 While many mushers race as a way to set personal goals, engage in the supportive community and simply enjoy the invigorating sport—others have sights on additional goals. The UP200 is a qualifying event for the Iditarod, coined The Last Great Race, which is certainly Alaska’s most well-known sporting event. The Iditarod is widely considered to be a critical part of saving the sled dog race culture and promoting the beautiful sport. 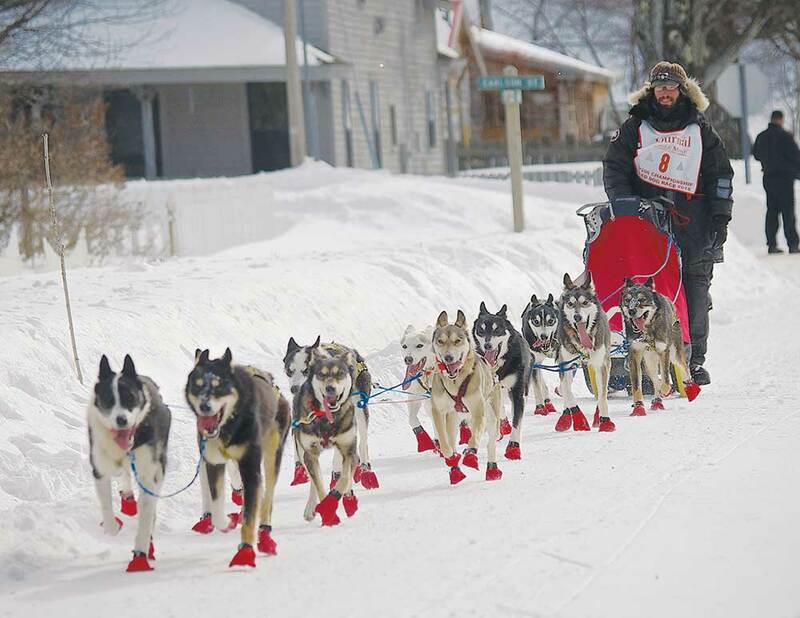 “The UP200 is an excellent litmus test for those interested in the Iditarod,” said Walch. While competition is certainly a big part of the sport’s make-up, Walch and others in the community will tell you that it is the dogs who are the heart and soul of each race. These dog breeds love running in the snow like Labradors love jumping in lakes and swimming. 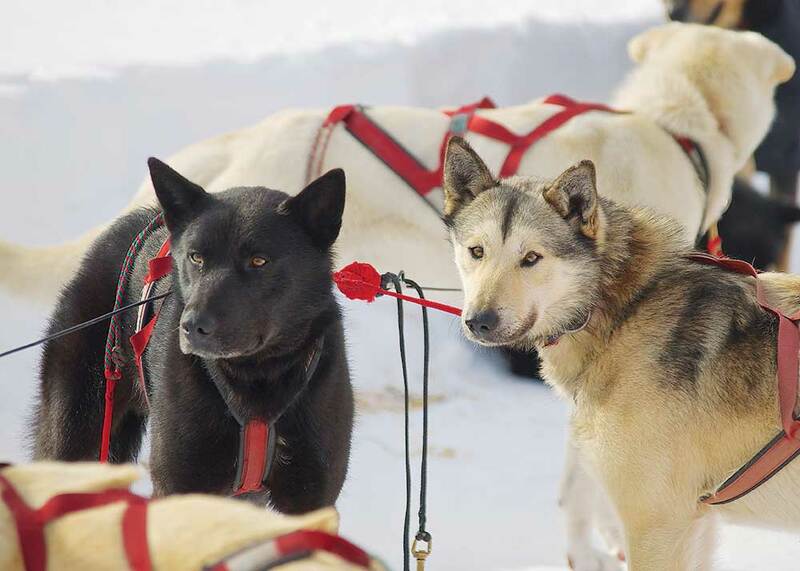 With each run, the joy and enthusiasm of the team exude off of them, encouraging the musher and inspiring the crowds. 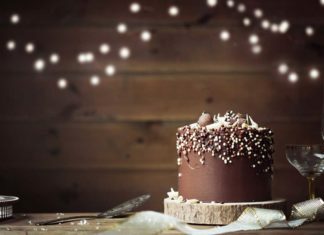 With 30 years under its belt, the UP200 continues to bring the joy of viewing world-class athletes work in unison to accomplish something remarkable, delightful, and truly awesome to behold.